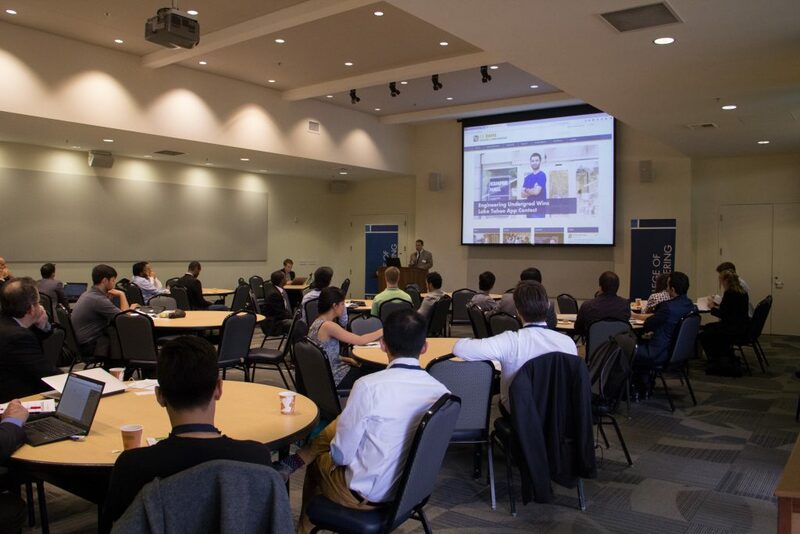 Destiny Garcia, Ian Garretson, and Barbara Linke co-teach the First Year Seminar Pens, Tablets, and Automobiles: An Introduction to Sustainable Manufacturing and Design, Spring Quarter 2019. 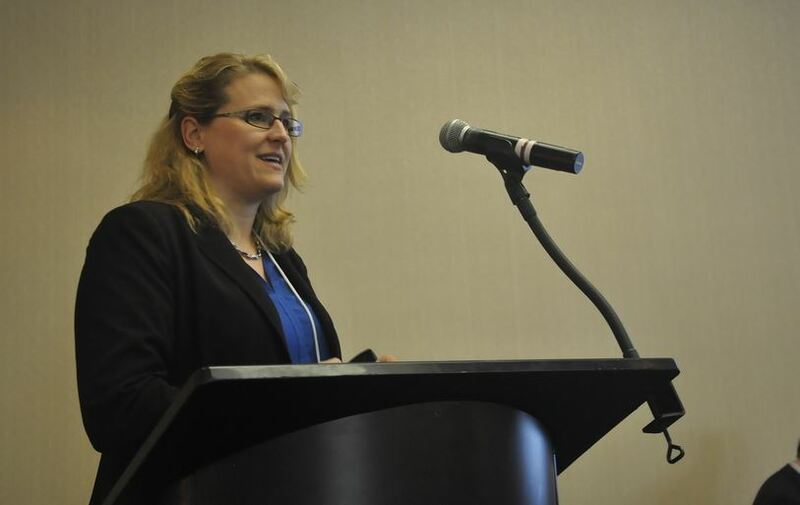 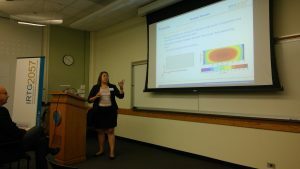 Barbara Linke organized the Second NSF/DFG workshop on U.S./Germany- Collaborative Research on Advanced Manufacturing, April 2-4, 2019, in Herndon, VA.
Destiny Garcia hosted a Mini Conference I am first: Navigating Graduate School with a Proactive Mindset on March 9, 2019. 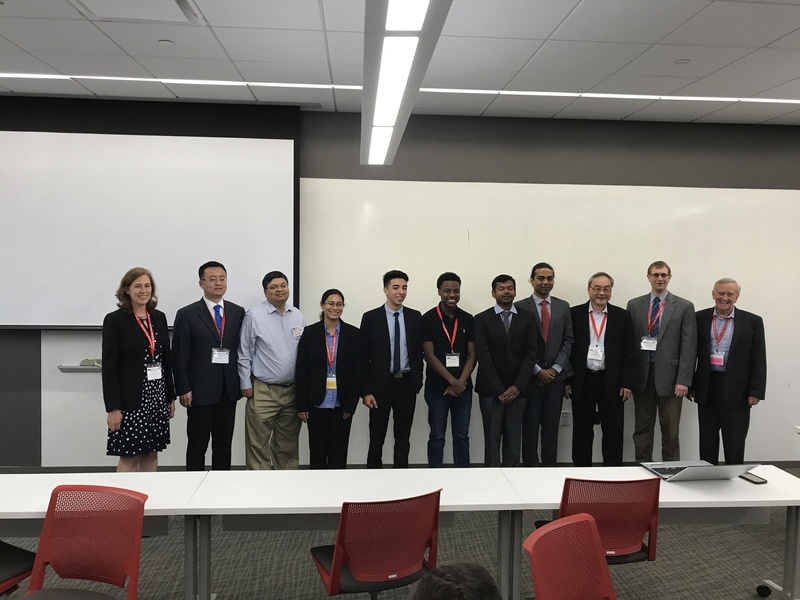 We hosted a Lab Open House on February 15, 2019 from 10 am -12 pm in 1334 Bainer (Flyer for MASTeR Lab Showcase). 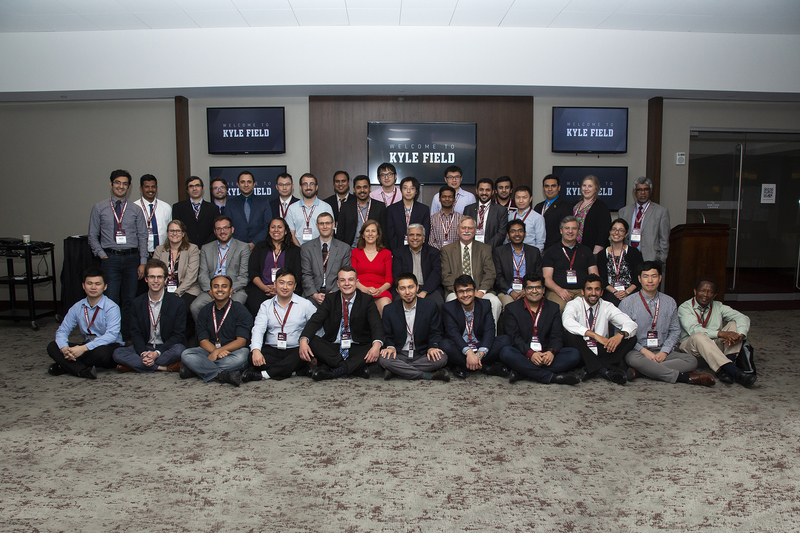 Akshay Kamath presented at the 16th Global Conference on Sustainable Manufacturing,Lexington, Kentucky, on October 3, 2018 (https://gcsm.eu/). 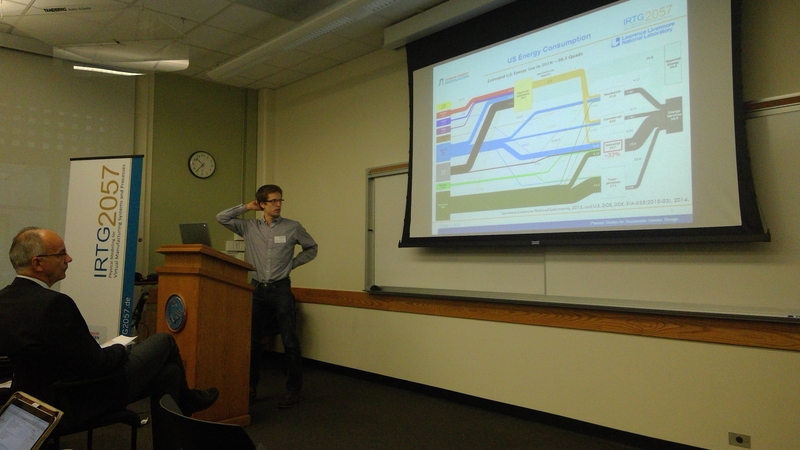 Akshay Kamath presented at the Annual Meeting of the IRTG2057 “Physical Modeling for Virtual Manufacturing Systems and Processes” from September 24 – 28, 2018 in Granlibakken, CA. 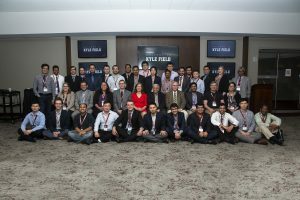 Destiny Garcia, Ian Garretson and Barbara Linke attended and presented at the ASME International Manufacturing Science and Engineering Conference (MSEC) 2018 and the 46th NAMRI/SME North American Manufacturing Research Conference (NAMRC), June 18-22, 2018, Texas A&M, College Station, Texas (https://msec-namrc-2018.tamu.edu/). 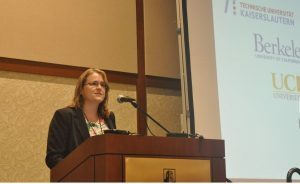 There, Barbara Linke co-organized the 2018 RAMP Workshop. Ian Garretson is won 3rd place at the 2018 NIST RAMP: Reusable Abstractions of Manufacturing Processes Challenge in June, 2018 for his Solution: A Production Line for Polylactide Business Card Holders (https://www.challenge.gov/challenge/ramp-reusable-abstractions-of-manufacturing-processes/). Destiny Garcia won the Best Graduate Student Research Award for her poster on Technical and Environmental Aspects of Quality Assurance. 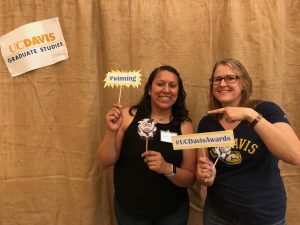 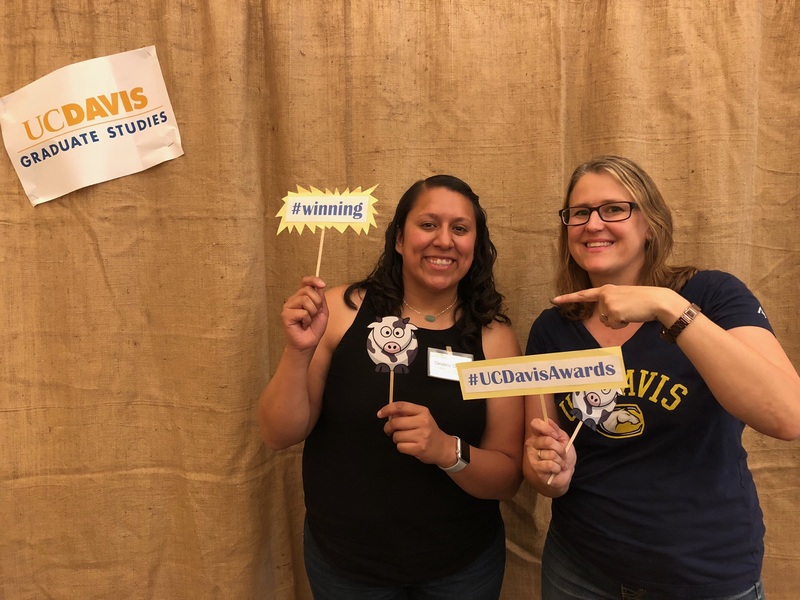 Destiny Garcia won the participation for the 2018-2019 Professors for the Future program at UC Davis. 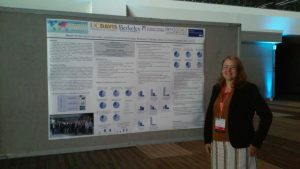 She was awarded at the 2018 Graduate Studies Honors and Awards Ceremony in May 2018. 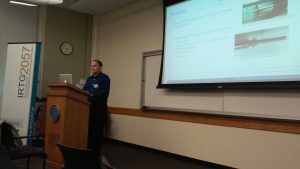 Destiny Garcia, Ian Garretson, Renan Ribeiro, and Chris D’Elia presented at the IRTG 2057 Fall meeting 2017 at UC Davis (http://www.irtg2057.de/). 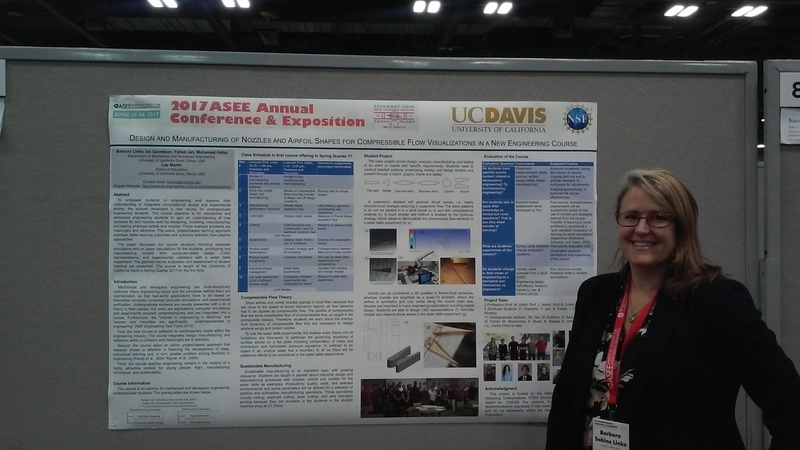 Jayanti Das won second place for the 2017 RAMP: Reusable Abstractions of Manufacturing Processes Competition by NIST in June 2017 (https://www.challenge.gov/challenge/ramp-reusable-abstractions-of-manufacturing-processes-2017/). Destiny Garcia, Jayanti Das, Ian Garretson, and Barbara Linke presented at the 12th Manufacturing Science and Engineering Conference (MSEC2017) and North American Manufacturing Research Conference 45 (NAMRC45), June 04 – June 08, 2017, at University of Southern California, Los Angeles, California. 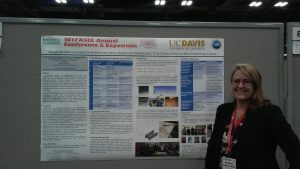 Barbara Linke presented at the 124th ASEE Annual Conference & Exposition, June 25 – 28 on Design and Manufacturing of Nozzles and Airfoil Shapes for Compressible Flow Visualizations in a New Engineering Course, and ASEE International Forum, June 28, Columbus, Ohio on Benefits and Multi-cultural learning in an International Research Training Group between Germany and the U.S.
Barbara Linke presented at the International Conference on Microscale Morphology of Component Surfaces (MICOS) 2016, October 20 – 21, 2016 in Kaiserslautern, Germany (http://www.sfb926.de) on Surface generation in abrasive processes with examples of aesthetic appearance and bacteria attachment. 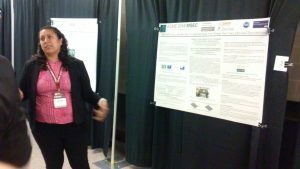 The presentation was co-authored by Jayanti Das. 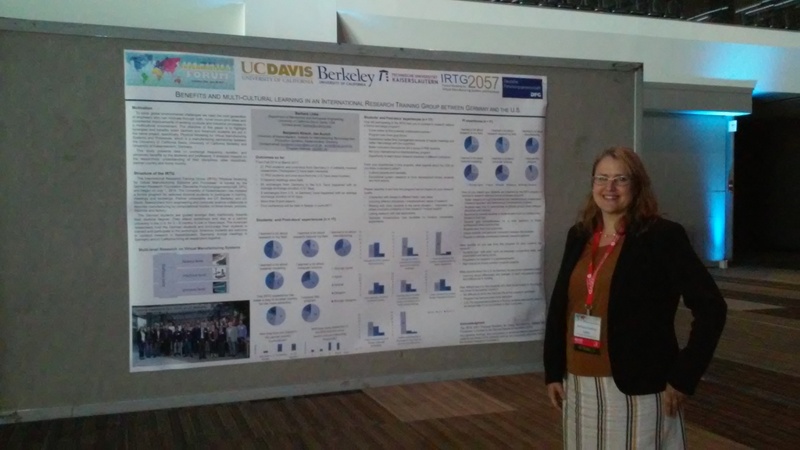 Destiny Garcia, Ian Garretson and Michael Taylor presented at the IRTG 2057 Fall meeting 2016 at UC Berkeley. The International Research Training Group (IRTG) “Physical Modeling for Virtual Manufacturing Systems and Processes” connects doctoral students and researchers at the University of Kaiserslautern, UC Davis and UC Berkeley (http://www.irtg2057.de/). 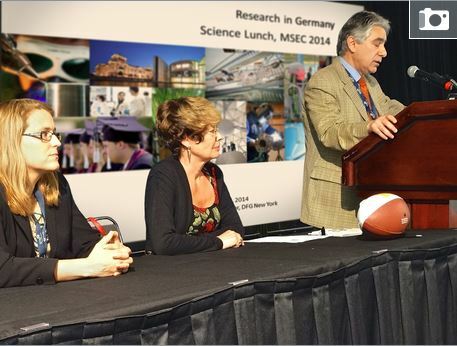 Barbara Linke presented on Research in Germany at the ASME MSEC 2014, MSEC2015, MSEC2016, and MSEC2017. 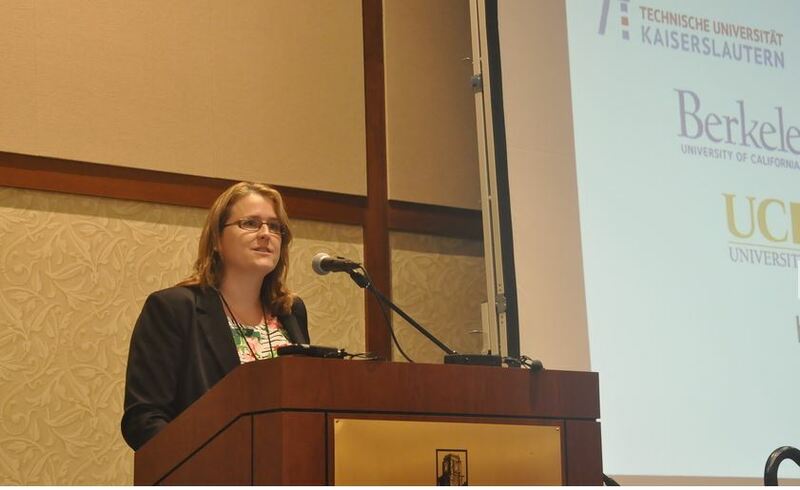 Paul Harris and Barbara Linke participated and presented at the 2015 International Forum on Sustainable Manufacturing, presented by the Institute for Sustainable Manufacturing at the University of Kentucky, Sept. 24 – 25, 2015.